Double-amputee Olympian Oscar Pistorius was indicted on charges of murder and illegal possession of ammunition on Monday in the death of Reeva Steenkamp, who was shot three times and killed this past Valentine's Day. Pistorius's case will be sent to Pretoria's High Court, where a judge will render a verdict. 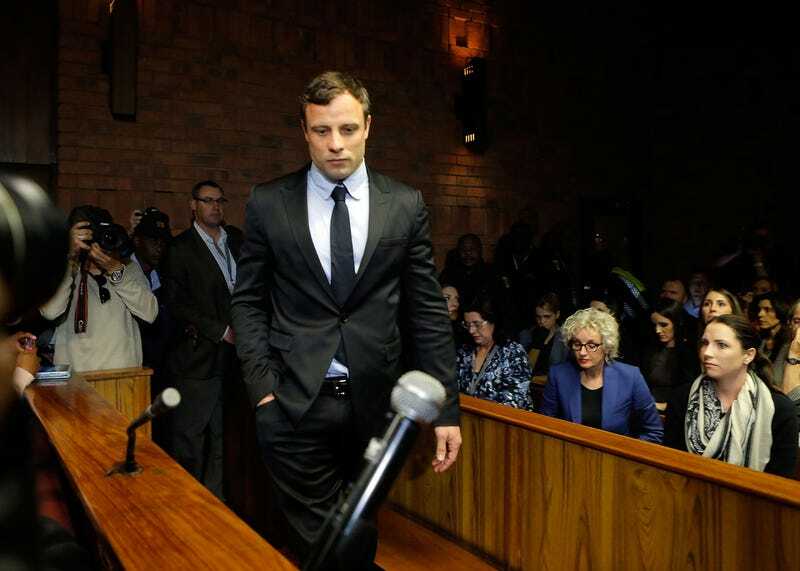 If found guilty of premeditated murder, Pistorius would face at least 25 years in prison. The trial date is set for March 3. The most damning evidence in the prosecution's favor is the bullet holes in the bathroom door. The position of those holes would indicate whether or not Pistorius was on his prosthetics when he shot whoever he thinks he shot. Pistorius claims that he wasn't attached to his prosthetics when he fired his gun; the prosecution believes the opposite. Steenkamp would have turned 30 years old today.